Zero RH+ know a thing or two about glasses thanks to having an optical range selling specs to the high street. The Olympo Triple Fit shades here use a lot of that knowledge to create a well fitting, solidly built pair of cycling sunglasses. The Triple Fit part of the name comes from the fact that the Olympos are adjustable in three places. Firstly the nose bridge can either sit flush against the glasses or by rotating out towards you it can be positioned to give a bit more of a gap thus improving ventilation when climbing or racing. 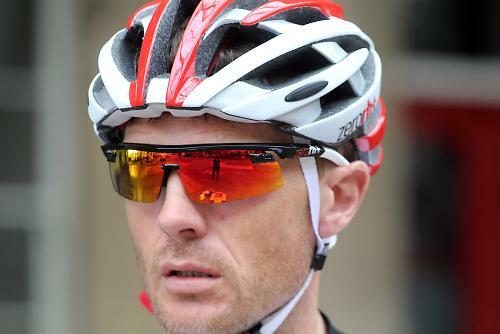 Shifting the lens away from your face also stops sweat dripping on the inside of the glasses, a big problem if you time trial for instance. The second part is that the nose bridge is flexible enough that they adapt to the shape of your nose. The compression from it keeps the glasses well placed without restricting your breathing or leaving marks. It grips well too even when covered in sweat. The arms offer the third bit of tweaking. By way of a small screw on each one you can adjust the length by up to 6mm. Now I've never struggled with a pair of glasses being too short or long for my head but if you have, the Olympos could be the option for you. RH+ claim that it's for stability and to be fair having the arms at full length and wrapping further around the back of my head meant the Olympo's weren't going anywhere. The lenses are interchangeable although you don't get any spares in the box. They screw into a small bracket below the frame and are held in position by the nose bridge. This bracket spoils for me what is an exceptional pair of glasses. To get the RH+ logo embossed on it the bracket is slightly longer than it needs to be and sits just to the edge of your line of sight. Objects can be missed if you do just a quick eye movement rather than turn your head. It's not so bad that it's dangerous, just irritating. The rest of the lens properties are very good though, very clear with no distortion from the curved shape. The red/orange colour is good for sunny days and it's not so dark that it becomes difficult to see in the shade. Overall the Olympos are a comfortable and secure pair of shades, let down a little by those brackets. They have a very solid feel to them to with good build quality. The adjustability is more than just a gimmick though as it all makes a difference, especially that tilting nose bracket. The £110 price tag is right on the money when you compare them against others with this level of build quality and performance. The Olympo Triple Fits are a performance pair of sunglasses designed for the racer. 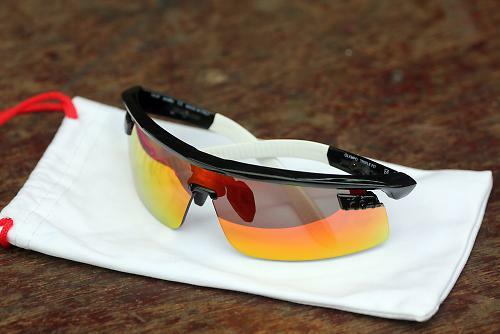 There is a selection of colours available and even a Contador limited edition pair. Really, really good glasses just let down by that poor bracket positioning. The build quality and secure fit.